Some very focused work over 2.5 hours with these 10-13 year olds learning about stop motion animation at Red Rock’s Friday Youth Group in Dawlish. Humorous, quirky and entertaining poet Matt Harvey will be making a special appearance in Dawlish for an evening of performance poetry. 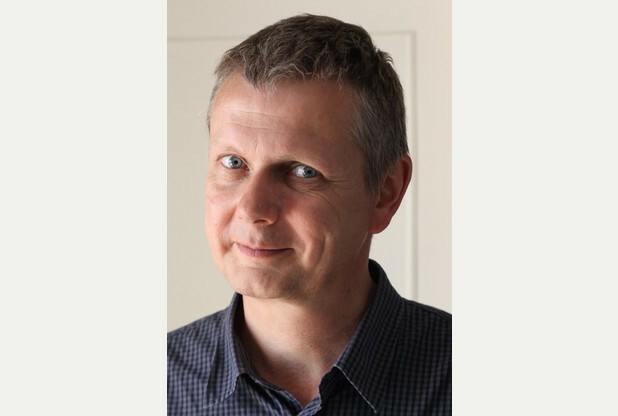 Organised by the new Poetry for Pleasure Group in Dawlish, Matt Harvey, guest poet at Wimbledon Tennis Championships and a regular on BBC Radio 4’s Saturday Live programme will be at Dawlish Library from 7.30pm to 9.30pm on Wednesday 25th February. 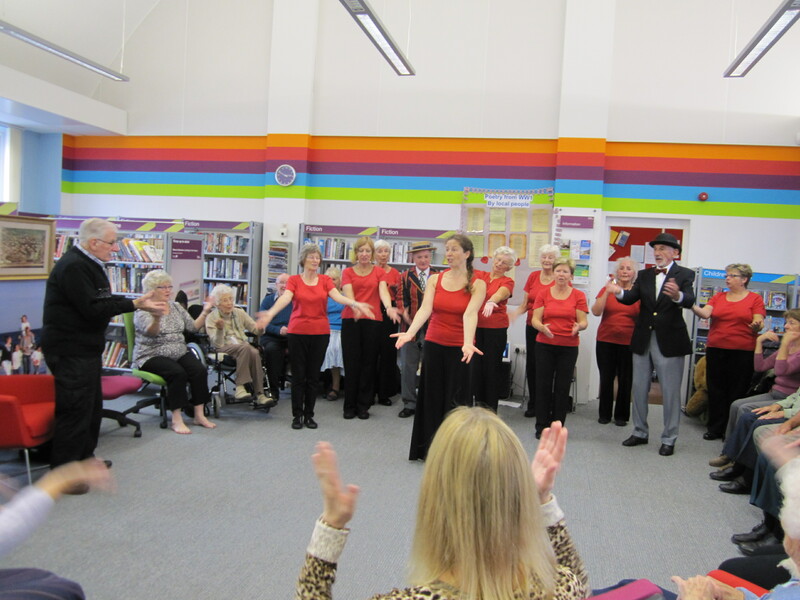 The new poetry group in Dawlish was established a part of a community arts project in the town supported by Arts Wave Devon offering arts opportunities with the theme of ‘Dawlish Journeys’. 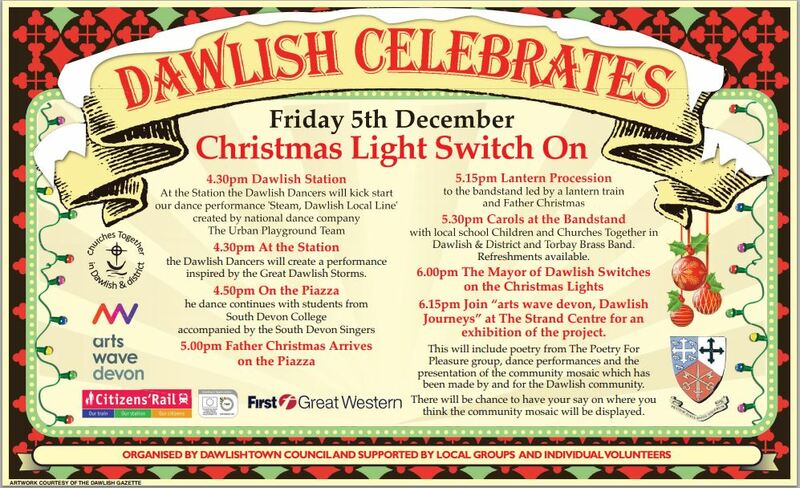 The art project has worked with the Dawlish community since September 2014 and has already worked with over 1500 people, providing workshops and events from the Christmas lantern parade to dancing in the streets. 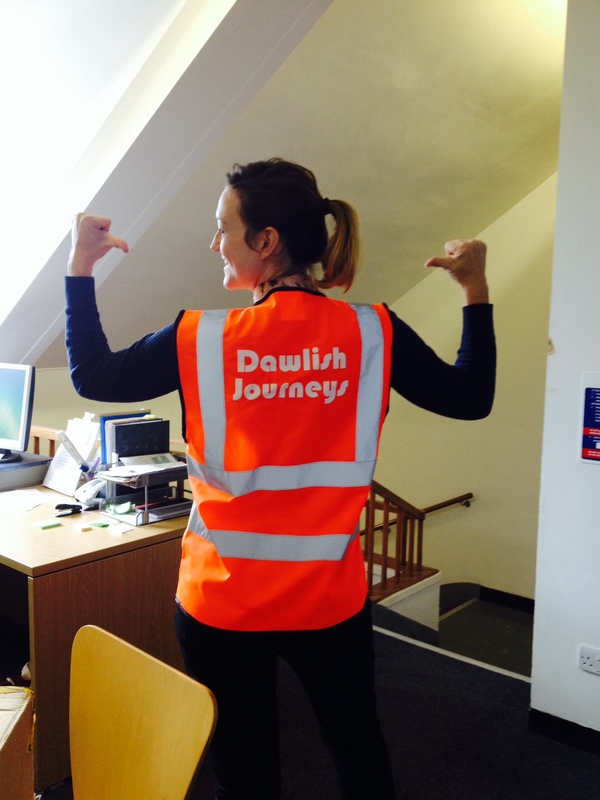 More arts wave devon art activities announced in Dawlish! 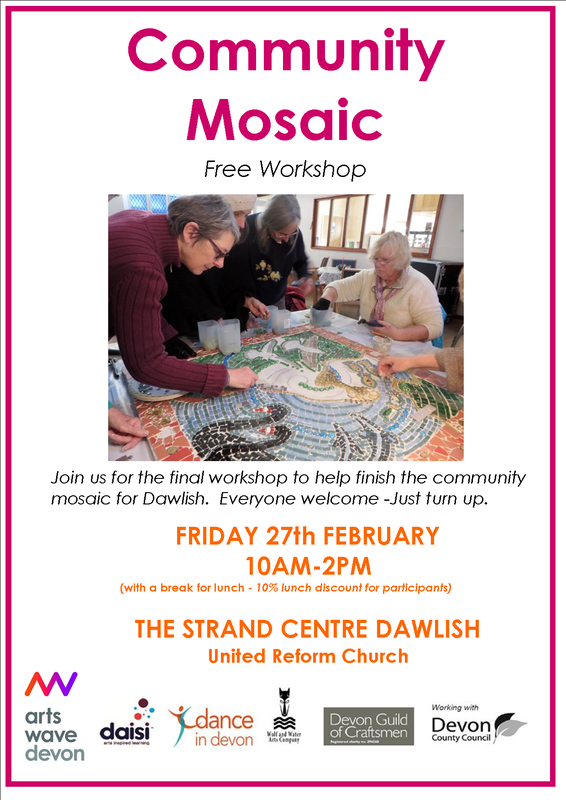 Join arts wave devon at The Strand Centre (United Reform Church) on Friday 27th February to help complete the community mosaic. A free workshop between 10am-2pm with a break for lunch. Everyone welcome, no booking required. On Friday 27th February and 13th March from 6pm, arts wave devon will be running animation workshops with young people aged 10+. There will also be special creative dance workshops throughout February and March on a Thursday evening for young people with special needs as part of No Limits Youth Group. 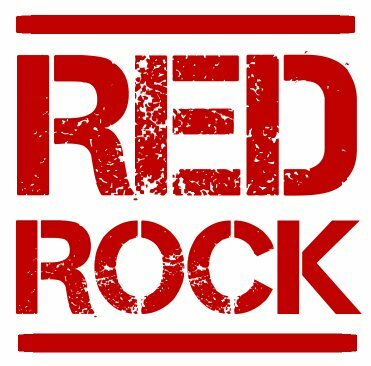 If you are interested in the activities at Red Rock please contact Shirley at Dawlish Action for Youth on 01626 889288 for further information. 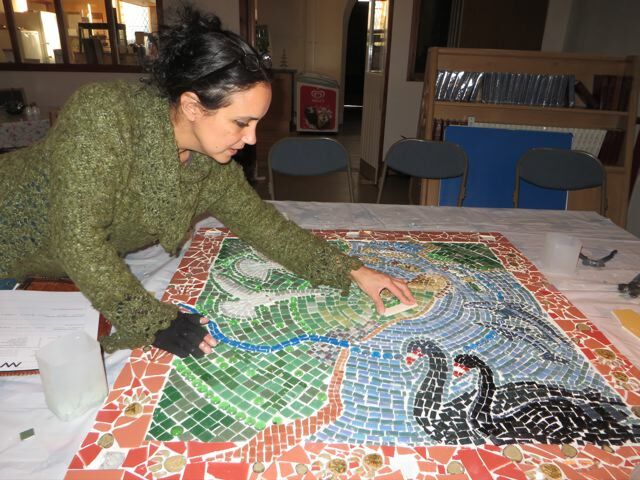 Artist Monica Shanta Brown has been working with groups in Dawlish to make a community mosaic. Designed by 10 home educated families at a free workshop at The Manor in November, the group used the theme of Dawlish Journeys to inspire them. From their ideas, Monica has created two 1 metre square panels and has been visiting The Strand Centre on Wednesday afternoons to offer free drop in sessions to Dawlish. The mosaic has also visited Red Rock’s Thursday night group No Limits and is visiting Cockwood Primary this week. Families are invited to take part on Saturday 29th November between 1-4pm at The Strand Centre in Dawlish. It’s all hands on deck, so come and add your piece to the mosaic. 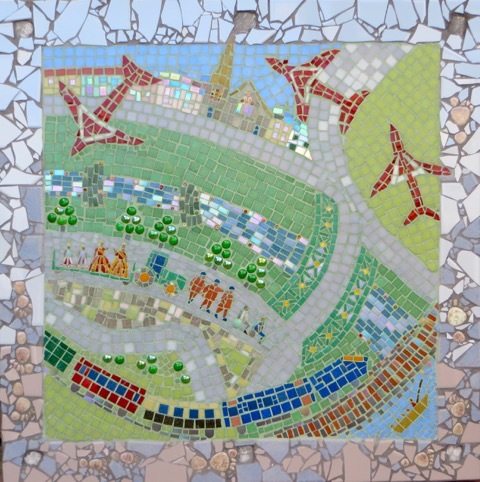 The completed mosaic will be unveiled at our celebration event on the 5th December, from 6pm at The Strand Centre. 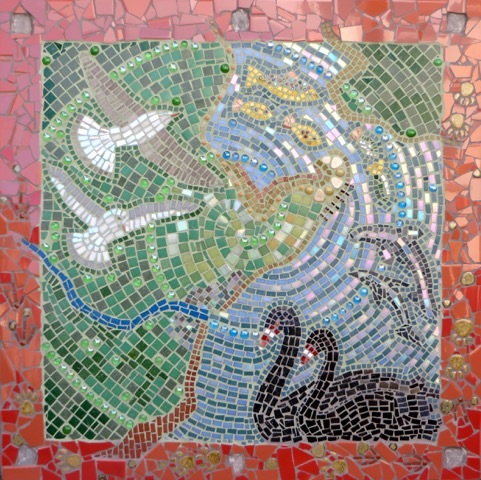 You will be able to make suggestions of where the mosaic should be displayed in Dawlish when visiting the exhibition which runs between 5-7th December. Free community workshops – just drop in.